After conducting a four-year study exploring social media use in the Australian Not for Profit sector, researcher Dr Karen Sutherland suggests three key actions to support public relations professionals. Hot Topic: After conducting a four-year study exploring social media use in the Australian Not for Profit sector, researcher Dr Karen Sutherland suggests three key actions to support public relations professionals. With so many Not for Profits seeking support, stakeholders expect more than a direct appeal for help. Stakeholders want to be inspired to give and they want evidence that their support can make a positive difference. Developing trust with stakeholders by providing evidence of the results of their support is recommended. Sharing stories of the difference an organisation and its people make to the lives of others, preferably through video, can instill trust in a Not for Profit and inspire stakeholders to offer their support. Strengthening a sense of community between stakeholders and a Not for Profit organisation should also be a priority for public relations practitioners in the sector. Using social media as a bridge between online and offline interactions with an organisation can help to build community. Encouraging interaction in Facebook groups for volunteers or requesting stakeholders to share photos from an event can strengthen the stakeholder/organisational relationship. One of the ways of sustaining community is the expression of gratitude, especially if it is specific and individual. Due to the positive impact such appreciation generates, this in turn is likely to lead to further donations and volunteerism. This research highlighted the existence of indifference and resistance on behalf of some senior managers in relation to their organisation’s social media practices. If public relations practitioners in the Not for Profit sector seek to change the status quo, they must play a fundamental role in building a strong case to attract senior management support. Measuring the tangible results of social media activities (such as donations or volunteerism) will add to the case, in conjunction with sharing successful social media case studies from other organisations and tactfully educating senior management as to how the organisation can benefit from increased social media resources. Being proactive and consciously gathering evidence (to present social media as a valuable tool and quell fears) and presenting it to senior management on a regular basis may assist to shift attitudes opposing its use. Building a case for increased social media resources may be a long-term initiative for public relations practitioners and a challenging task in the traditionally under-resourced Not for Profit sector. Therefore, it is vital that public relations practitioners achieve as much as possible with available resources. Sharing relevant content created by other agencies in the sector (and crediting them), sourcing content from internal and external stakeholders, integrating social media and traditional communication activities, and leveraging professional networks (such as LinkedIn) can assist public relations practitioners to better utilise accessible resources. One overarching conclusion can be drawn this project: social media is not being approached or utilised with the intention of being used as a tool for connection, except in the limited and one-dimensional sense of increasing social media following through Facebook page likes or Twitter followers. Rather than leveraging the connective characteristics of social media technology, this research showed that it is being approached and used in an isolated way. 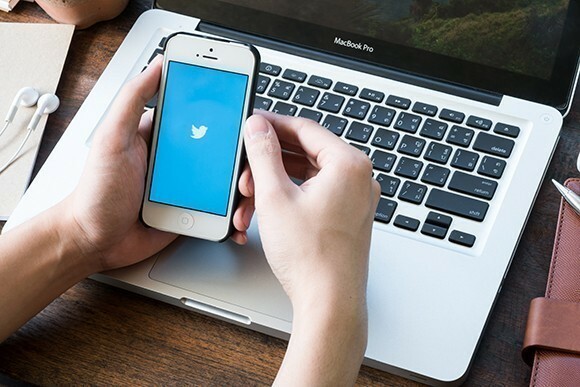 It must be acknowledged that constraints relating to budget, resources and policy within a Not for Profit organisation may influence its approach to social media practice. Yet this research indicated that social media was not being integrated with traditional communication in a strategic way and was not being used to bridge online and offline interactions between stakeholders and the Not for Profit organisations. The limited approach to social media was also apparent in the use of social media to focus on young people rather than the wide range of social media users and in measurement where tangible outcomes of social media efforts were not recorded. When used on its own, social media may not achieve the results necessary for it to be deemed a valid relationship management tool by public relations practitioners in the nonprofit sector and their stakeholders. Yet when social media is combined with other public relations techniques, such as traditional communications channels and offline stakeholder interactions, practitioners have a greater chance of experiencing its benefits and counteracting its deficiencies. Social media is a social networking tool. Its connective capabilities need to be redefined and understanding of its applicability broadened before these qualities can be leveraged and incorporated into other aspects of public relations practice, particularly stakeholder relationship management. Read the complete study by Dr Karen Sutherland here. 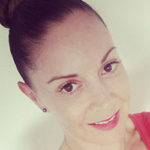 About the Author: Dr Sutherland is a lecturer in Public Relations and a social media researcher at the University of the Sunshine Coast in Queensland. Her passion is finding simple social media solutions for business and non-profit organisations that build positive and ongoing relationships with their customers and stakeholders. Dr Sutherland has been employed in a range of marketing, communication and public relations roles at organisations such as Australian Broadcasting Corporation (ABCTV), Grundy Television,Fremantle Media International, the Australian Red Cross Blood Service and Monash University.